During World War II, Allied forces in the South Pacific would often hear Japanese propaganda over the radio from an English-speaking Japanese woman. It was reported that she would accurately go into detail about the Allies’ plans, and would even name individual servicemen. She was nicknamed Tokyo Rose, and most people know her today from the film Flags of Our Fathers. She is said to have playfully tormented the troops. Following the war, two reporters, Harry T. Brundidge and Clark Lee, searched for Tokyo Rose, who they determined to be American-born Iva Toguri. They offered her $2,000 for an interview, which she agreed to. When she stepped forward, instead of getting paid, she was arrested. End of story, right? Well, there’s only one problem; Tokyo Rose never existed. Iva Toguri was born on 4 July 1916 in Los Angeles, California. Her parents, Japanese immigrants, had came to America from Japan in 1913. As a child she was a Girl Scout. In 1940, she graduated from the University of California with a degree in Zoology. She was considered by everyone around her to be a loyal American. On 5 July 1941, Iva sailed to Japan to visit a sick relative and to perhaps study medicine. She did not have a passport, so in September, when she decided to return to America, she filed a request for a passport so she could return home. Unfortunately, on 7 December 1941, Japan attacked Pearl Harbour, and her request for a passport was denied, leaving her stranded in Japan. As the war in the Pacific between Japan and the Allied Forces began, Iva was pressured into revoking her American citizenship by the Japanese government. She refused. Because of this, she was declared and “enemy alien” and denied a war ration card. To help support herself, she found a job as a typist at a Japanese news agency, and eventually ended up at Radio Tokyo. In November 1943, Allied prisoners were forced to air Japanese propaganda, and Iva was chosen to host parts of it, called The Zero Hour. The producer was an Australian Army officer, Major Charles Cousens, who had pre-war broadcast experience, and had been captured at the fall of Singapore. He had been tortured and forced to work on the radio show, along with his assistants, U.S. Army Captain Wallace Ince and Philippine Army Lieutenant Normando Ildefonso “Norman” Reyes”. Iva had risked her life to deliver food to the POW camp they had been held captive, therefore gaining their trust, which is why they chose her to host the program. She was assured by them that they would not have her say anything against the United States, and they didn’t. Iva took the stage name “Orphan Annie“. Although she never took part in actual news broadcasts, she mostly acted in radio comedy skits, and announcing songs. She only made $7 a month (or ¥150), which she mostly used to buy food for POW camps, sneaking it in as she had done before. Not one time did she ever refer to herself as “Tokyo Rose”. After the war, Iva heard about Harry T. Brundidge and Clark Lee’s $2,000 offer for an interview with Tokyo Rose, and decided to take the offer. She needed the money to return home. 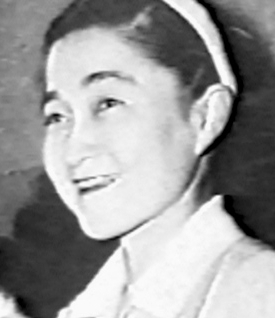 She did not know that it was a trick, and she was arrested after being forced to sign a document “confessing” she was Tokyo Rose on 5 September 1945. The reports used her arrest to attempt to further their career, and even tried to sell transcripts of their “interview” with Iva, where she “confessed”. However, a year after she was arrested, she was released due to lack of evidence. 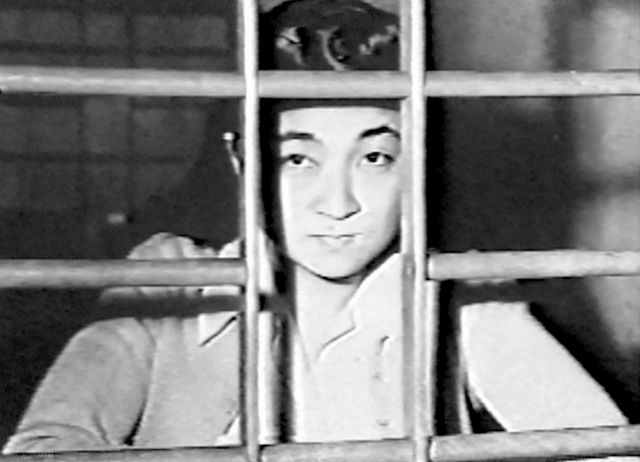 The POWs who wrote her scripts backed her up and defended her, showing that she couldn’t have been Tokyo Rose. However, in 1945, she was brought to trial for treason. Even though she was defended by the POWs at the radio station, she was found guilty of treason do to the fact that she announced a loss of American ships in 1944. This was the “evidence” the court brought against her. She was fined $10,000 and sentenced to 10 years in prison. In 1976, it was uncovered that several of her accusers’ testimonies had been falsified, and had been coached on what to say on the stand. Due to this, then-President Gerald Ford granted a full and unconditional pardon to Iva Toguri D’Aquino on January 19, 1977, his last full day in office. On 15 April 1945, Iva married Felipe D’Aquino, a Portuguese citizen of Japanese-Portuguese descent. During the trial, he was arrested. When he was released, he was exiled to Japan. 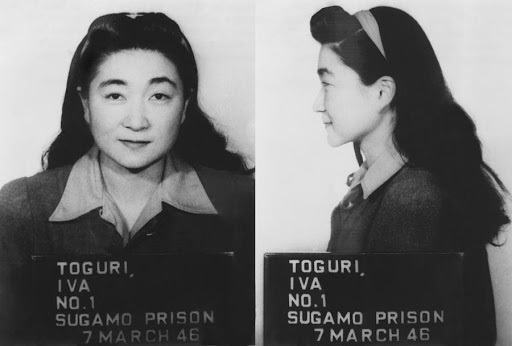 Iva returned to the United States and lived in Chicago, where her father had opened the J. Toguri Mercantile Company Japanese-import retail store during the war, following the release of the Toguri family from internment at the Gila River War Relocation Center in September 1943. Due to Iva and Felipe’s forced separation for thirty years with no chance of seeing each other, they officially divorced in 1980 so that they could go on with their lives. Felipe D’Aquino passed away in 1996. On January 15, 2006, the World War II Veterans Committee awarded Iva its annual Edward J. Herlihy Citizenship Award, citing “her indomitable spirit, love of country, and the example of courage she has given her fellow Americans”. According to one biographer, she found it the most memorable day of her life. Iva Toguri passed away on 26 September 2006 in a Chicago hospital of natural causes. She was 90 years old.